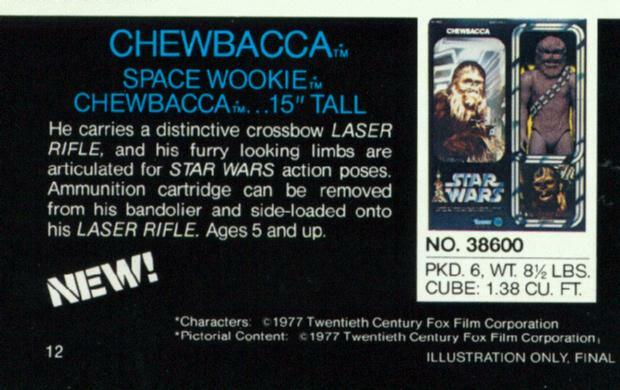 It's Chewbacca, the "Space Wookie"! Wait a minute, that's not Chewbacca, it's a painted Bionic Bigfoot from the Six Million Dollar Man. Fortunately, this was only a mock up for the Kenner 1978 Catalog.